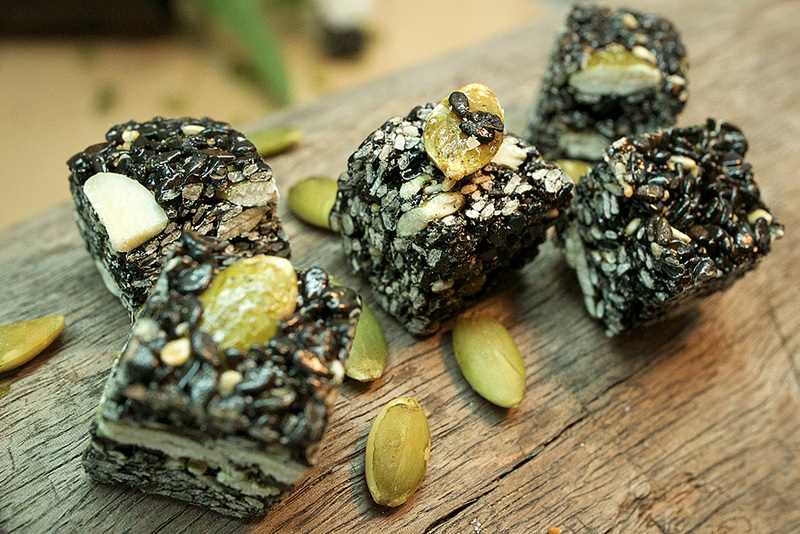 Healthy Black Sesame Pumpkin Seed Energy Squares are packed with nutrition and taste. These bars are perfect anytime you crave a snack. Ideal for hikers and sports enthusiasts. These chunks of energy are never heated and are made of only the finest ingredients. 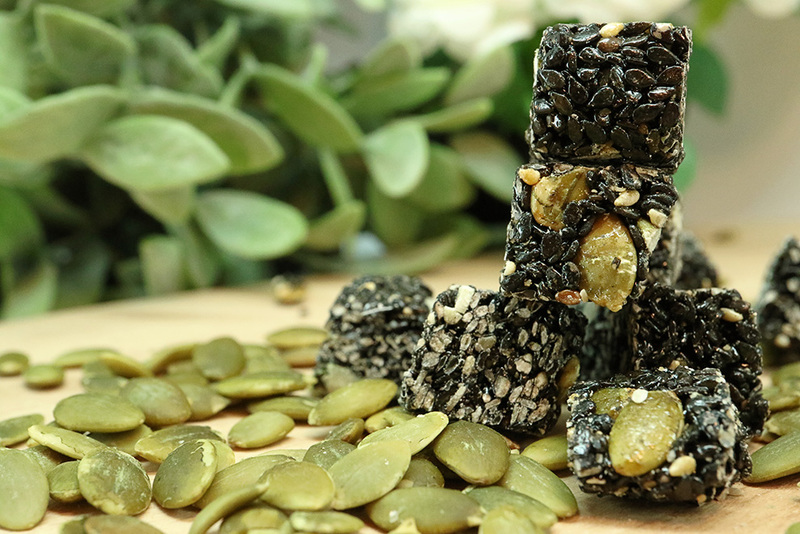 Signature Snack Healthy Black Sesame Pumpkin Seed Energy Squares are made by selected natural black sesame seeds and pumpkin seed, roasted and mixed with natural seasoning. 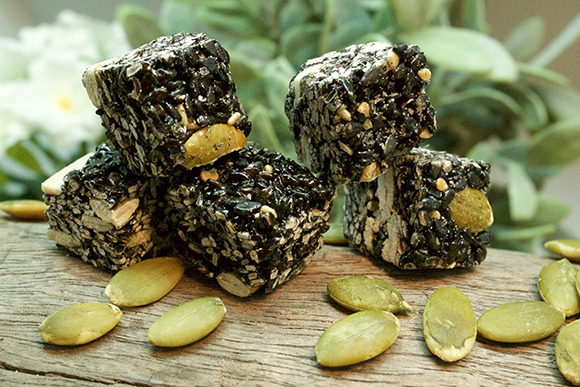 Black sesame seeds are a good sources of calcium as well as other minerals and vitamins. Calcium and iron in black sesame are good for our bone health. Pumpkin seed is also a good source of polyunsaturated fats, vitamin E, magnesium, zinc and other nutrients.